The concept of a Rebbe is to reveal down here [in this physical world] what he heard in Gan Eden. The Rebbe is the “I stand between G-d and you at that time to tell you the Word of G-d,” (Devarim 5:5) as is written of Moses, our teacher. “To tell you” means “to draw down to you” the Word of G-d.
Likutei Dibburim, vol. 4, p. 1408. 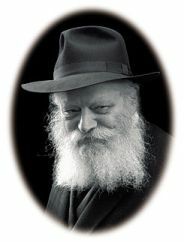 Put differently, a Rebbe does not say a word of his own. This also appears to imply the concept of the Tzaddik’s infallibility. On a peripheral note, the Gemoro says that there was a difference between the way that the first four books of Chumash were revealed, and the last. The former was dictated word for word to Moshe Rabeinu, while the latter was vested first in Moshe Rabeinu’s mind and then expressed in his own words, albeit exactly according to Hashem’s Will. It is interesting that according to this quote, the divine revelation to a Rebbe appears to fall into the former category.